We don’t offer an online booking system as we firmly believe it is important to start up a relationship with our customer from the initial enquiry until the day of play. 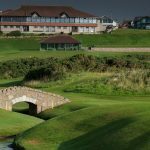 If you wish to check availability for a tee time call us on +44 (1779) 812285 or email elaine@crudenbaygolfclub.co.uk and we will provide the necessary information. All Juniors (Under 18) pay half the adult rate. We have Shoulder Rates in place from 1st April to 21st April 2019, and again from 6th October to 27th October 2019 @ £90 for 18 holes and £110 for 36 holes. Visitors should note that we have only afternoon tee times available at the weekends. Due to the terrain, we are unable to offer buggies even with a medical exemptions certificate. We look forward to welcoming you to Cruden Bay Golf Club, A Unique but Unforgettable Experience.